SAN FRANCISCO—Proposals by a U.S. judge to prevent Pacific Gas & Electric Co. equipment from causing any more wildfires would create safety risks, cost too much money, and interfere with the work of federal and state regulators, the utility said Wednesday. 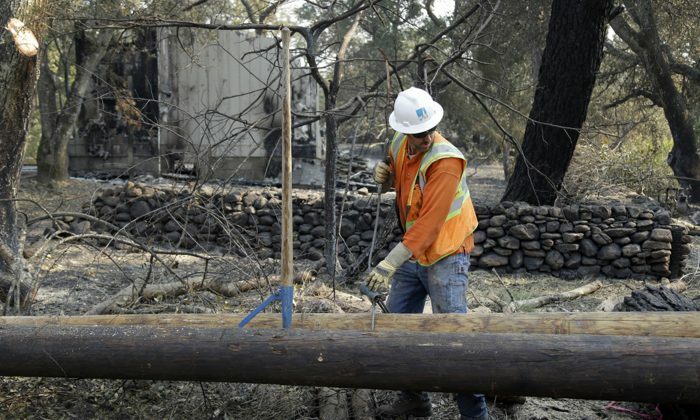 PG&E said in a court filing that it’s committed to system upgrades and wildfire mitigation, but it contends that a criminal case being handled by U.S. District Judge William Alsup is not the right forum to address such measures. PG&E said in its court filing on Jan. 23 that complying with all of Alsup’s proposals could cost as much as $150 billion and require massive rate hikes. In addition, the measures would interfere with the “role of state and federal regulators without fully accounting for the risks that some of those actions may create” or assessing whether those costs are necessary, PG&E said. The court filing added that shutting down power affects first responders, critical medical care, and essential services such as water delivery. The judge is eyeing the wildfire requirements as part of PG&E’s probation in the criminal case. Alsup has noted that California fire investigators have determined that PG&E caused 18 wildfires in 2017—12 of which could result in criminal prosecution. By Sudhin Thanawala. From The Associated Press.